We’d love your help. Let us know what’s wrong with this preview of Bird of Paradise by Raquel Cepeda. In 2009, when Raquel Cepeda almost lost her estranged father to heart disease, she was terrified she’d never know the truth about her ancestry. Every time she looked in the mirror, Cepeda saw a mystery—a tapestry of races and ethnicities that came together in an ambiguous mix. With time running out, she decided to embark on an archaeological dig of sorts by using the scien In 2009, when Raquel Cepeda almost lost her estranged father to heart disease, she was terrified she’d never know the truth about her ancestry. Every time she looked in the mirror, Cepeda saw a mystery—a tapestry of races and ethnicities that came together in an ambiguous mix. With time running out, she decided to embark on an archaeological dig of sorts by using the science of ancestral DNA testing to excavate everything she could about her genetic history. To ask other readers questions about Bird of Paradise, please sign up. This is my book and I loved the entire ritual of writing and process reading each draft. More Latina-Americans have to document their stories! It’s impossible to not to be reminded of Junot Diaz while reading author Raquel Cepeda’s generational tale of family, culture and identity. The obvious comparisons reside in the fact that like Diaz, Cepeda is also a product of Dominican heritage. Her decision to intersperse the narrative with D.R. Spanish and doses of crude vernacular further supports this reasoning. Still, we cannot fairly assign the ownership of all things Dominican Republic to the now famous Pulitzer recipient. Nor can we den It’s impossible to not to be reminded of Junot Diaz while reading author Raquel Cepeda’s generational tale of family, culture and identity. The obvious comparisons reside in the fact that like Diaz, Cepeda is also a product of Dominican heritage. Her decision to intersperse the narrative with D.R. Spanish and doses of crude vernacular further supports this reasoning. Still, we cannot fairly assign the ownership of all things Dominican Republic to the now famous Pulitzer recipient. Nor can we deny other authors the right to express themselves in as blunt terms as they choose. Thankfully, the specifics of Cepeda’s personal journey allow her breathing room to touch on some previously explored D.R. themes without coming across a Diaz wannabe. It always amazes me how authors can bare their souls in memoirs exposing all of the unpleasant details of their lives. In Cepeda’s case, the complicated nature of her childhood and teen years with her parents is not masked even in the slighted. I guess to a certain extent readers of autobiographies and memoirs anticipate drama in this genre. I can’t help but wonder though if in the midst of this described catharsis there’s ever a sense of nakedness or regret in not being able take back these intimate revelations. Bird of Paradise starts off with a bang and then loses some of that potent momentum as Cepeda delves into her tween years. The occasionally choppy narrative style can be a bit off-putting at times. The redeeming quality of the book however, is Cepeda’s ability to transport the reader back in time linguistically. One gets that ‘fly on the wall’ sensation as the author recreates authentic scenarios and dialogue with family and friends. As a Latino child coming of age in 1980s New York City, Hip Hop culture is inescapable. The inner city manifested movement looms so large that it becomes a separate character in the story. The task of writing about one’s life is a tricky undertaking. What may have been meaningful or even transformational to the writer, doesn’t always resonate with the reader. This memoir would have been better served minimizing or even omitting certain storylines. Cepeda’s time at college is a prime example. Sometimes the page-count considerations of a publisher forces authors to include unnecessary filler content in their books. There’s no way to confirm that this was the case here, but periodically I got that impression. By the mid-point of the book, the storyline switches gears thematically into a travelogue for all intents and purposes, as Cepeda begins a quest to trace the genetic origins of her family. It makes for an interesting read, though it feels disjointed from the first half of the memoir. There are mountains of information contained here, some details that will impact you, and others not so much. But you’ll likely walk away feeling more informed about the Latino nation. I just got a message from Apache Ramos (a mutual friend) saying that you were about to appear in an interview on MSNBC. I went crazy trying to find MSNBC on the internet (I don’t have cable) but I couldn’t find it. Anyway, congratulations! That’s good press and I hope I’ll be able to eventually see the segment with your interview with Melissa Harris-Perry online sometime. I received your book in my office last Thursday and I read it on Friday and I thought it was exceptional. It beautifully captures the struggle of growing up under very difficult circumstances – it’s quite a journey. You are a survivor. This was already clear in the poem you wrote in my workshop in the 1990’s. That poem is a powerful window into what you experienced as a young girl— what you were feeling and going through. It’s amazing that you decided to be a writer no matter what. You somehow knew you had what it takes and had the courage to go for it — and we’re all lucky that you did. You trusted yourself. You trusted that voice you heard. You allowed yourself to be open to your spirit guides. Your writing voice is smart, wise, and it reads like butter. So many writers with a revolutionary message are writing in ways that alienate readers who do not have PhD’s. You are able to make your points in ways that everyone can understand. That’s what it means to be a writer. That’s what it means to be a communicator. You don’t dumb down but you don’t overwhelm us with a lot of academic rhetoric. You showed the struggle of coming to terms with family. (As did George Jackson in his letters to his father in "Soledad Brother".) That’s quite a balancing act and it takes a lot of courage and insight. It’s great that you were able to recognize the fears, limitations and narcissism of parents who were tragically unable to understand the real needs of their children. Mostly, I appreciated that you were able to use your personal journey to speak about larger issues of racism, sexism, homophobia, classism etc. 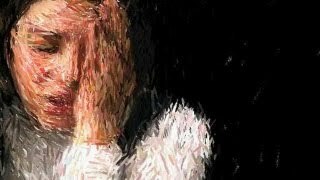 Readers don’t feel what a writer is saying when it’s just a lot of abstractions and theoretical jabber. Your writing makes us feel your experience. You covered a wide range of history and many growing up years in a relatively short narrative — an amazing feat. This is the kind of book that will makes readers want to reflect on our own experiences in a way that helps us view our lives within a historical and political context. It’s also important because it instructs us to value and pay attention to our emotional and spiritual selves. Thank you. Raquel Cepeda had a terrible childhood, not as bad as it could be, but likely as bad as it could be when you lived with one or the other parent. While surviving her childhood, she found that she has shadow spirit, and spiritual guide. Others told her that they saw her guide, and she came to believe, came to have dreams and begin to follow her intuition to understand her dreams. She decided that the woman who shadowed her was a ancestor who had received a fuku, a curse. In her family the moms and their oldest daughters were at odds to the point that relationships and lives were damaged. Cepeda's mom Rocio had so utterly rejected Cepeda that the fuku/curse had an opportunity to break. As Cepeda went in search of family members, she met her father'said people who had hurt (People who hurt, hurt others idea), but several they had worked hard overcome their personal stories and practice herbal medicines and tarot cards and whatever other forms of santeria that was what they felt called to do. The santeria brought some sanity to a seriously hurt child-now-a-woman. Now her children and the generations to co,email will be blessed by Cepeda'so spiritual work. If ways of understanding alternative to mainstream Western cause you unhappiness, this book is not for you. You will be happier reading something else. May you find more happiness. If you are open to spirits and disembodied people inhabiting the Earth, working hard to help humans, then this book may be for you. Being a Dominican-American New Yorker and having had an insatiable hunger to learn more about my family's own ancestral past and Dominican history for as long as I can remember, so much of Bird of Paradise resonated with me. So much so that for much of Part 2, I felt like Cepeda was speaking directly to me. In all my research and personal investigation of both Dominican and my own family's histories, I felt like so many of the observations she made about Dominican culture, identity and perceptio Being a Dominican-American New Yorker and having had an insatiable hunger to learn more about my family's own ancestral past and Dominican history for as long as I can remember, so much of Bird of Paradise resonated with me. So much so that for much of Part 2, I felt like Cepeda was speaking directly to me. In all my research and personal investigation of both Dominican and my own family's histories, I felt like so many of the observations she made about Dominican culture, identity and perception were spot-on and were ones that I had experienced in my own life. I only have 2 real complaints about this book: 1.) I wish she had included a family tree somewhere in the book, since at times it was difficult to keep track of her extended family members, and 2.) I wish this book had existed (well, it probably did exist just wasn't printed yet) when I wrote my master's thesis. This book truly felt like a personalized gift. The courage to unearth one’s personal trauma in a memoir has always been an ability that both impresses and baffles me. In Bird of Paradise, Cepeda utilizes the testimonial approach with great candor and honesty to excavate her painful youth in order to confront it. In her preface to the book she states, “Our identities are as fluid as our personal experiences are diverse.” That statement captures the essence of this emotionally-charged memoir. Part one of the book mostly recounts the physical a The courage to unearth one’s personal trauma in a memoir has always been an ability that both impresses and baffles me. In Bird of Paradise, Cepeda utilizes the testimonial approach with great candor and honesty to excavate her painful youth in order to confront it. In her preface to the book she states, “Our identities are as fluid as our personal experiences are diverse.” That statement captures the essence of this emotionally-charged memoir. Part one of the book mostly recounts the physical and mental abuse from her youth and the identity crisis that results from her adverse coming-of-age experiences. Having been born in New York City to parents with a Dominican heritage among a polyglot of other ethnicities, she overcomes her rugged upbringing by finding ways to address the central question of who she is. With a cultural phenomenon such as Hip Hop on the rise, Cepeda uses the music to fuel the search for herself, and while telling her story, she shares everything and exonerates no one, family included. By part two, she chronicles her mission to uncover her roots through DNA analysis. Her travels take her on a quest to answer the investigative question of where she came from. One of the best books of 2013. A truly fantastic memoir that is rich in honesty, self-discovery and curiosity. Part One of the book, Cepeda expounds on her background, detailing how she lived in New York, Santo Domingo and San Francisco in her formative years. Her time as a youth wasn't easy--reading her interactions with her mother and father will give you a soul cry. As you read part one, her spirit seems palpable despite the circumstances. Understanding her life really sets up a beautiful back One of the best books of 2013. In my opinion, this story was not for me. It contained a lot of inappropriate content, and was very depressing. I began reading this story and learned that some of the characters were very strange, based on their choices in life, and it was very sad. There were times when I was reading this story that I needed to cover my mouth due to the insanity taking place in this story. I also needed to splash my face with water to calm myself down and to prevent myself from crying. The story was about a yo In my opinion, this story was not for me. It contained a lot of inappropriate content, and was very depressing. I began reading this story and learned that some of the characters were very strange, based on their choices in life, and it was very sad. There were times when I was reading this story that I needed to cover my mouth due to the insanity taking place in this story. I also needed to splash my face with water to calm myself down and to prevent myself from crying. This book found a way to integrate memoir writing with historical narrative in a way few books I've read concerning culture (specially Latino culture) know how to do. While some suffer from bad writing and others lean too much on personal experience, Cepeda's book lends itself to an understanding of Latinos as a whole through her personal journey in a way that demands the reader walk in her shoes. Her journey from a traumatized child to journalist / filmmaker is interwoven with the history of hi This book found a way to integrate memoir writing with historical narrative in a way few books I've read concerning culture (specially Latino culture) know how to do. While some suffer from bad writing and others lean too much on personal experience, Cepeda's book lends itself to an understanding of Latinos as a whole through her personal journey in a way that demands the reader walk in her shoes. Her journey from a traumatized child to journalist / filmmaker is interwoven with the history of hip-hop journalism and New York City in its 80s and 90s old to new school hip-hop era. The vignettes pull the reader in and out of various memories from her life, all important to the general context, but good enough to stand alone as well. Her style, smooth and cutting at once, keeps the reader engaged at every page, even through the more academic explorations of her DNA, for instance. Wow wow wow such a perfect read for my time in Costa Rica, but also just incredibly written overall. After reading Cepeda’s story I’m compelled to take my own lineage more seriously. I really loved this one. WOW. All latinos should read this book, regardless of where they find themselves within the diaspora. SO IMPORTANT. As a Latina who's never really felt like she's fit into the mainstream definition of what a Latina is "supposed" to be or look like (I'm fair-skinned, red-haired and raised in a non-Spanish speaking household), I was intrigued by Raquel Cepeda's memoir. What do I have to do to "be" Latina? Although I'm trying to embrace my heritage, am I just a "box checker"--a white woman who's trying to be something she's not? Although Cepeda, doesn't struggle with precisely the same issues I do, her journey to accepting her identity was relatable and interesting. The first part of the book details Cepeda's parents' meeting and her subsequent birth, childhood and young adulthood. Growing up with two parents who provided her with a less than stable existence, she ends up shuttled between parents and grandparents before eventually settling more or less permanently with her father in New York. Cepeda's father is overbearing and at times abusive, and their relationship is frayed (it seems) almost beyond repair by the time Cepeda is college-aged. Cepeda finds herself often trapped between worlds--too "Spanish" for white kids, not Black enough for Black friends, too Black for Latinos--and her father does everything he can to deny his Latin and Black origins, going so far as to say that all Dominicans should be rounded up and deported. ("Aren't we Dominican, Papi?" a young Raquel asks, confused.) Her mother is a chameleon who changes her accent, clothing and appearance based on who she's dating at the time. It's no wonder that Cepeda grew up perplexed by her identity. Although her growing up years are interesting, I found the second half of the book much more captivating. Raquel explores her origins through mitochondrial DNA testing through Family Tree DNA, a company founded in my own backyard. My sister and I have discussed buying a mtDNA testing kit for our mom, as she's expressed interest in it as well. Cepeda points out in her book that many Latino families can't trace their heritage back reliably past their parents or grandparents (true in my case), so DNA testing provides a look into generations that might have been previously unreachable. As Cepeda also discusses, many Latino families also intentionally try to obscure their "less desirable" origins of Amerindian or Black heritage as a survival mechanism to exist within a discriminatory society. DNA testing breaks down those walls. As she asks her parents and older relatives for DNA samples, Cepeda also uncovers family secrets that had gone previously undisclosed. She begins to see patterns in her family relationships and circumstances that--if not excuse--explain why she grew up the way she did, and realizes that her spiritual connection to her ancestors is stronger than she thinks. This book continued to provide well beyond what I ever expected it would. The first part is a intriguing memoir of the author's pre-conception and childhood years, written as smoothly and enticingly as fiction. The author consistently incorporates themes of Dominican culture, early hip hop and spirituality throughout. In the second part she shifts gears and delves into finding out the facts about her genetic makeup, telling the story of her research and DNA testing. All of the information, as it This book continued to provide well beyond what I ever expected it would. The first part is a intriguing memoir of the author's pre-conception and childhood years, written as smoothly and enticingly as fiction. The author consistently incorporates themes of Dominican culture, early hip hop and spirituality throughout. In the second part she shifts gears and delves into finding out the facts about her genetic makeup, telling the story of her research and DNA testing. All of the information, as it's revealed, is used as a backdrop for some in depth factual schooling about immigration, slavery, and culture. Beautifully written. I enjoyed every minute...so much so that I wrote a review for Ms. Magazine about it. I posted it once before I believe, and I think including the link prevented my review from posting, so instead of linking to it, I'll just say--google my name and Raquel Cepeda and Ms. Magazine, and you should find it easily! If you're not willing to do that, just know that the book is fantastic. Poorly written and half formed (and half-witted) opinions. Showy and vulgar writing. A pastiche of politically correct, juvenile and rabid impressions poorly interwoven. Que lastima, por que en un tema importante y fuerte. There’s a word my mother uses with such frequency, such habit, with complete and total love behind every little muscle that makes the movements sound aloud, that I’ve never, ever thought to write down. Mami. Because to put that word down, to make the conscious decision to place it, italicize it, and highlight its flow and distinction in contrast to everyday English dialogue, would be a doorway into a world I am not fully yet comfortable in rendering. It’s one thing to talk about the American drea There’s a word my mother uses with such frequency, such habit, with complete and total love behind every little muscle that makes the movements sound aloud, that I’ve never, ever thought to write down. Mami. Because to put that word down, to make the conscious decision to place it, italicize it, and highlight its flow and distinction in contrast to everyday English dialogue, would be a doorway into a world I am not fully yet comfortable in rendering. It’s one thing to talk about the American dream. To describe my ascent to first-generation college graduate, the sacrifices my mother and father made along the way, how they stared down unjust racism and ostracization, as a culmination of their superhuman effort. I have to point out the unjust part, the part that negates every negative stereotype I’ve ever heard about Mexicans, immigrants, foreigners in general. I have to say it’s unjust because of the fear, deep down, that maybe a part of it isn’t. Raquel Cepeda conquers these obstacles head on. Her memoir details her life as a first generation “dominiyorkian”, a native born Nueva Yorker whose life jettisons from the boroughs to the Dominican Republic, back and forth, both in her physical presence and in her spiritual journey through the generations to find a rhyme or reason in the chaos of her upbringing. The text is littered with Spanish, with slang, with dialogue that mirrors the culture of those around her. We hear the voices of the unapologetically Dominican, and of those whose Spanglish transforms and mutates based on the surroundings, and in the latter half, our narrator digs deeper into her roots through a series of genetic tests that send her around the world. Cepeda confronts the identity crises that she encounters in other members of her culture, both near and far from her own life in Nueva York, and through her observations, she attempts to grapple with her own. Cepeda's book is part memoir, part travel journal, and part infomercial for Family Tree DNA. I'm not mad at her for it, but it's kind of a hustle that this company gave her free tests and perhaps even funded her trip around the world for a year while she traveled to the places that her DNA test showed her to be connected to. Ultimately, the text is honest in its portrayal of the lengths some people of mixed race origin go to to deny any part of them that is African or Indigenous while playing up Cepeda's book is part memoir, part travel journal, and part infomercial for Family Tree DNA. I'm not mad at her for it, but it's kind of a hustle that this company gave her free tests and perhaps even funded her trip around the world for a year while she traveled to the places that her DNA test showed her to be connected to. Ultimately, the text is honest in its portrayal of the lengths some people of mixed race origin go to to deny any part of them that is African or Indigenous while playing up the White ancestry they have (or even imagine). Because of colonialism and the slave trade, we who are mixed race will always have a hard time tracing our generations. That loss is real and palpable. It's not fair that the oral history of the griots was ripped from our memory and tradition. Cepeda's message is strong. She rests on spiritual memory--what she calls trace memory-- spending a long time talking about various indigenous religions that combine logic and mysticism. She believes in condomble and fukus, and spirit guides and such. Raquel Cepeda really created an amazing piece with this one. Raw, honest, and very emotional, this seemed like it ripped pages out of my own life and smacked it all together into a book that shatters everything I have ever been taught. Being a Dominican-American woman (also born in New York) we were always taught secrecy was one of the most important foundations of a family: never tell family business, they aren't family and there are no such things as friends, keep the police away, etc. This bo Raquel Cepeda really created an amazing piece with this one. Raw, honest, and very emotional, this seemed like it ripped pages out of my own life and smacked it all together into a book that shatters everything I have ever been taught. Being a Dominican-American woman (also born in New York) we were always taught secrecy was one of the most important foundations of a family: never tell family business, they aren't family and there are no such things as friends, keep the police away, etc. This book lays it all out there, and does it in an amazing way. While the story is about the author's life, it goes back and forth from her early years to adulthood, and everything in between. It was refreshing to read about the experiences of another woman in our culture. Very refreshing. This review has been hidden because it contains spoilers. To view it, click here. 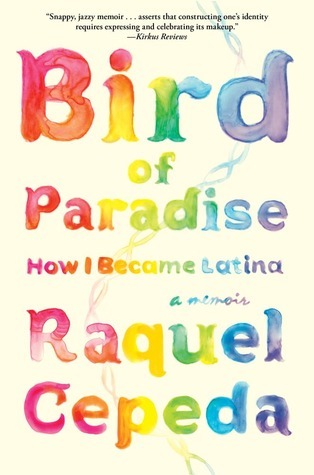 Bird of Paradise: How I Became Latina is a memoir written by Raquel Cepeda depicting the relationship between the distance between a girl and her parents and how that shapes her as a person. In the first half of the book, Cepeda grew up in an eerie atmosphere with both of her parents hating her existence and each other. At age eight, Cepeda moves in with her father who is living in New York, to leave behind her mother and her abusive stepfather. Moving in with her abusive and tennis obsessed dad Bird of Paradise: How I Became Latina is a memoir written by Raquel Cepeda depicting the relationship between the distance between a girl and her parents and how that shapes her as a person. In the first half of the book, Cepeda grew up in an eerie atmosphere with both of her parents hating her existence and each other. At age eight, Cepeda moves in with her father who is living in New York, to leave behind her mother and her abusive stepfather. Moving in with her abusive and tennis obsessed dad, makes Cepeda feel unwanted. With her mother always pretending to be the equivalent of her new man, and her father pretending to be white, Cepeda grows up not knowing where she truly belongs. In the second half of the book, Cepeda goes back to her roots to try to discover who she truly is. Cepeda does a perfect job of illustrating an atmosphere that seems relatable. With her vivid vocabulary, Cepeda sweeps you off your feet and into her life growing up on the streets of New York. In the end, like Cepeda, everyone wants to know where they belong. I generally don’t like when people review books based on what they weren’t versus what they were. That said... the description of this book was misleading to me. This was more about her life, with a heavy emphasis on her fraught childhood, with a relatively short section at the end about the ancestral research. I would’ve liked the ratio flipped. If you’re looking more for a memoir, you may enjoy this. Amazing book, really shed a light on the Latina experience growing up in NYC as well as exploring the roots of what makes us who we are. Beautifully written. First half of the book with Raquel's autobiography was incredible. Very raw and sad and eye-opening. Second half was where she looked into her ancestry using DNA. I was much less interested in that. What I particularly loved about this book was the second half where she explored her own ancestors and ideas around ancestry. Born in Harlem to Dominican parents, award-winning journalist, podcaster, and documentary filmmaker Raquel Cepeda is the author of Bird of Paradise: How I Became Latina. Equal parts memoir about Cepeda’s coming of age in New York City and Santo Domingo, and detective story chronicling her year-long journey to discover the truth about her ancestry, the book also looks at what it means to be Latina Born in Harlem to Dominican parents, award-winning journalist, podcaster, and documentary filmmaker Raquel Cepeda is the author of Bird of Paradise: How I Became Latina. Equal parts memoir about Cepeda’s coming of age in New York City and Santo Domingo, and detective story chronicling her year-long journey to discover the truth about her ancestry, the book also looks at what it means to be Latina today. Atria Books, a division of Simon & Schuster, released the book on March 5, 2013. The paperback was released on February 4, 2014: the companion curriculum, developed and written by Karen Robinson, a senior education officer at the RFK Center for Justice and Human Rights’ Speak Truth to Power initiative, is now available for free download at www.djalirancher.com. Cepeda is currently in production on Some Girls, a documentary focusing on a group of troubled teenage girls in a suicide prevention program who are transformed through an exploration of their roots via the use of ancestral DNA testing. Cepeda directed and produced the NAMIC (National Association for Multi-ethnicity In Communications) Vision nominated film Bling: A Planet Rock, a feature length documentary about American hip-hop culture’s obsession with diamonds and all of its social trappings, and how the infatuation with “blinging” became intertwined in Sierra Leone’s decade long conflict. The film was co-produced by VH1/MTV Networks and the United Nations Development Programme (UNDP). For almost two decades, Cepeda’s writings have been widely anthologized and her byline has been featured in media outlets including People, the Associated Press, The Village Voice, MTV News, CNN.com, and many others. She’s contributed to WNYC, CNN and CNN’s Inside the Middle East as a freelance reporter. Cepeda edited the critically acclaimed anthology And It Don’t Stop: The Best Hip-Hop Journalism of the Last 25 Years, winner of the PEN/Beyond Margins and Latino Book Award. As the former editor in chief of Russell Simmons’ Oneworld, Cepeda was responsible for the magazine’s overhaul in September 2001, winning a Folio Award for best re-design and receiving accolades for her global take on urban culture. Cepeda, named one of El Diario|La Prensa’s Distinguished Women of 2013, sits on the board of City Lore and the Style Wars Restoration Project. 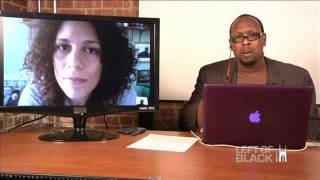 She’s appeared on Melissa Harris-Perry, Huffington Post Live, Al Jazeera English, CNN, and other outlets talking about genetic genealogy, Latino-American identity, immigration, hip-hop culture, and mental health issues amongst Latina-American teenagers. She lives with her husband, a writer and television producer, daughter, and son, in her beloved New York City.